To go along with the launch of the new Onion ADC Expansion board we've got a great blog post made by Onion on how they've used it in a project. 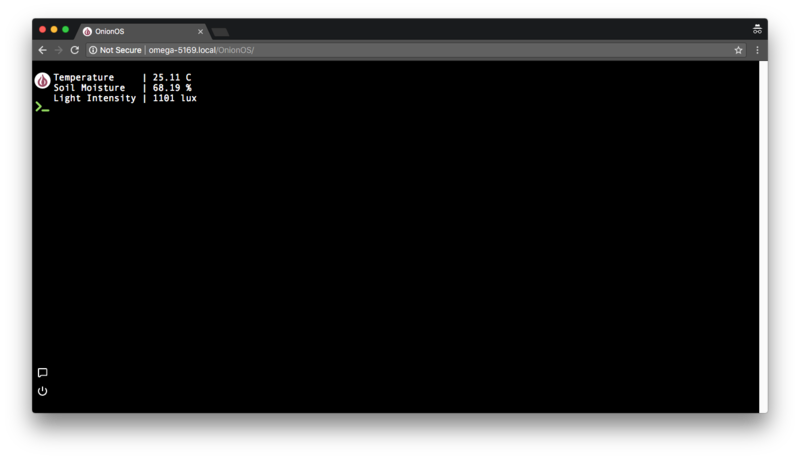 Follow along to learn how to build an IoT sensor using Python and the Omega2 ADC Expansion! 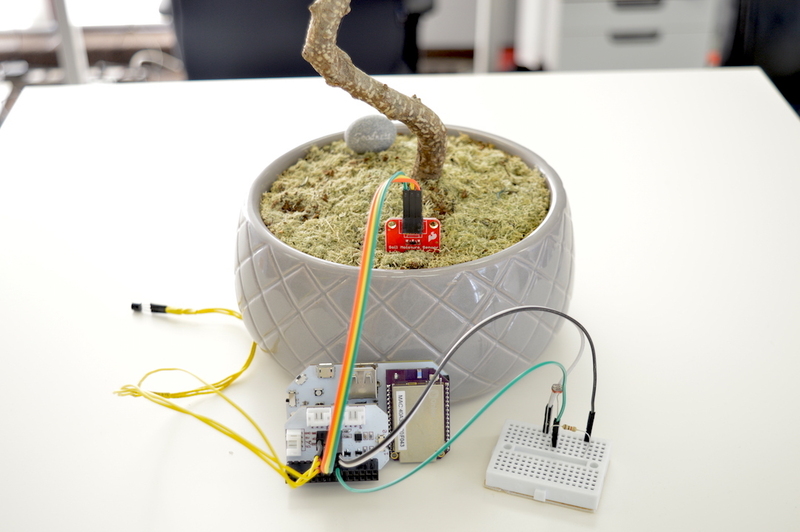 We built our sensor to be able to track the baby tea tree we have in our office, but this IoT sensor setup is a great template for building your own IoT sensor and tracking data that’s important to you. The wiring with the ADC Expansion is very straight-forward: connect each sensor’s signal, power, and ground to the ADC Expansion. Each sensor should be connected to a different input channel on the ADC Expansion. Since our light sensor is based on a photoresistor, we’ll need to make a voltage divider to sample the light intensity. 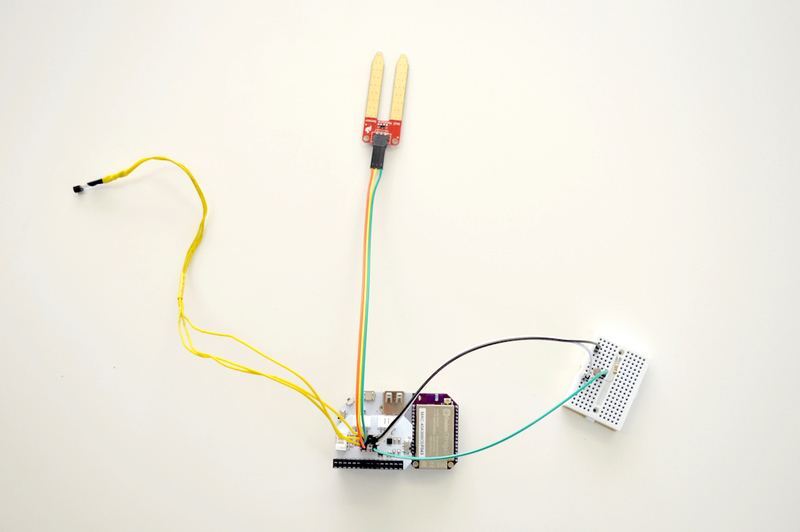 See our guide on using a photoresistor for details. The program will first instantiate an object to interact with the ADC Expansion, and then it will run an infinite loop that will read the voltage from each sensor, convert it to meaningful measurements for each sensor, and display the measurements. # Import the ADC Expansion module. The sensor readings will update twice a second, providing sensor real-time data!